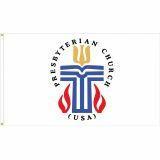 Fly the official symbol of the Presbyterian Church with a Presbyterian flag from Tuff Flags. The flag features a white backdrop and the official seal of the Presbyterian Church in the USA in the center. The seal is a cross that features multiple symbols that represents the Holy Spirit, the baptism of John, and peace. The upper portion of the cross represents an open bible while the rest of the cross symbolizes a lectern and the importance of preaching in Presbyterian faith. The flames on either side of the cross show the relevance of the Old Testament. 100% made in the USA our Presbyterian flags made of premium quality 200 Denier nylon material that features UV resistant imprints make a perfect addition to homes and churches.Shop right away and get the advantage of the best prices, quick shipping and much more! 100% customer satisfaction guaranteed! 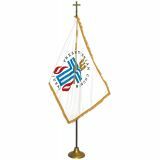 Show your faith in Presbyterian Church with our complete line of US made Presbyterian flags. 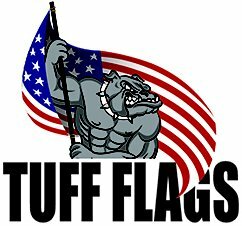 Made of heavy duty nylon, our flags are finished with sturdy duck heading and brass grommet that enhances its durability and visual appeal. These commercially graded, single face reverse church flags are well suited to be used during prayer meetings, congregations, and celebrations. We also have indoor Presbyterian Flags with an attractive golden fringe. Our impressive flags look great in your church or home and feature a very attractive smooth and silky finish. Highlight your Presbyterian identity with our flags. 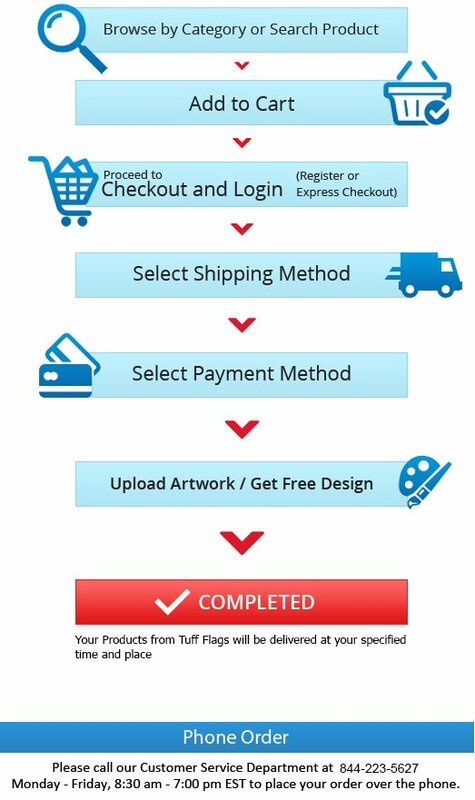 Shop from our well stocked inventory or call us our toll free number (888) 287-3524 or email at customercare@tuffflags.com for any queries or assistance.